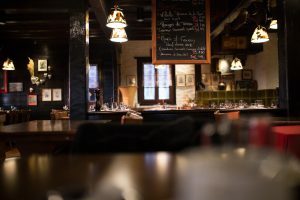 If you are staying in Glasgow for any amount of time, you are sure to want to spend at least some of that time enjoying the nightlife that Glasgow has to offer. With this in mind, we have put together a list of the things that there are to do in Glasgow at night, and we are certain that you will enjoy many of these suggestions. If you want to let your hair down and party for a while, then there is no doubt that Glasgow has a great selection of night clubs for you to choose from. There are many different music styles that you can choose, and this means that you will find the ideal club for your tastes. 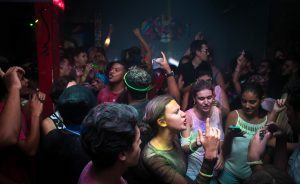 Three of the most popular clubs are Sub Club, SWG3 and The Glue Factory, and the range of music and events that these clubs provide means that you will find something that is ideal for you. 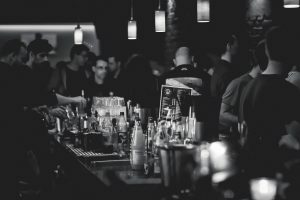 If you aren’t really into clubbing, and would prefer a quiet drink with your friends, then the bars that Glasgow has to offer could be a great alternative. If you head to either Merchant Square or Princes Square you have a great chance of finding a great bar that you will enjoy, thanks to the fact that there are so many classy places to choose from – including the Metropolitan Cocktail bar and Boudoir, which is a high class wine bar. No matter what your tastes, you will find the perfect solution to your night out here. A trip to Glasgow just wouldn’t be the same without a visit to one of the beautiful, traditional pubs that are on offer. The good news is that there are many for you to choose from, and there are some that you simply have to see if you are visiting. One is The Pot Still which has been a family run pub since 1867, and The Horseshoe Bar, which is Europe’s longest bar at 104 feet and three inches long. One thing that sets Glasgow’s pubs apart from others is the fact that all of the staff are so friendly and welcoming, and this means that you are sure to enjoy your visit. If you are looking for a slightly alternative night out in Glasgow, then you may wish to pay a visit to a comedy club, which is something that is sure to bring you plenty of entertainment. When you consider the fact that famous comedians such as Kevin Bridges and Billy Connolly have come from Glasgow, you can be sure that you will have a great night of entertainment here. There are many different comedy nights all over the city, so checking out what is on offer before your visit is something that you simply have to do. If you are looking for an evening of entertainment in Glasgow then a trip to the theatre could be a great idea. 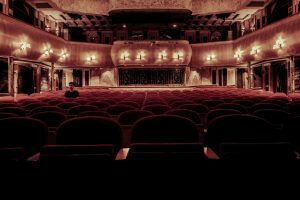 There are a number of theatres for you to choose from, including The Old Fruitmarket and the City Halls, and with a range of both modern and classic theatre available, you can be certain that you will find the kind of entertainment that you have really been looking for. When you consider the amount of entertainment that Glasgow nightlife can bring to you, you can be certain that you will be able to enjoy your trip. Make sure you have a good look at what’s on during your visit before you arrive, as entertainment and events can change all the time, and this will give you the best chance of making the most of your trip. Read about Glasgow’s top 5 Hotels!